Ross Cameron didn't even know he could yoga and yet here he is striking old hasta padangusthasana. Where is he? 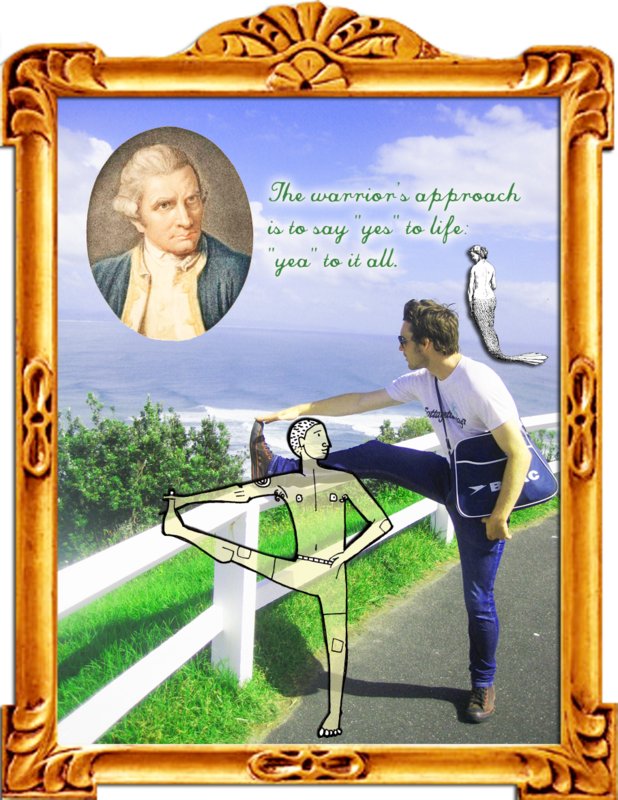 Well that's Captain Cook, you may peak a mermaid tail and just out of sight is a lighthouse.